For over a decade, Andy Young has been pioneering the boat syndication concept. 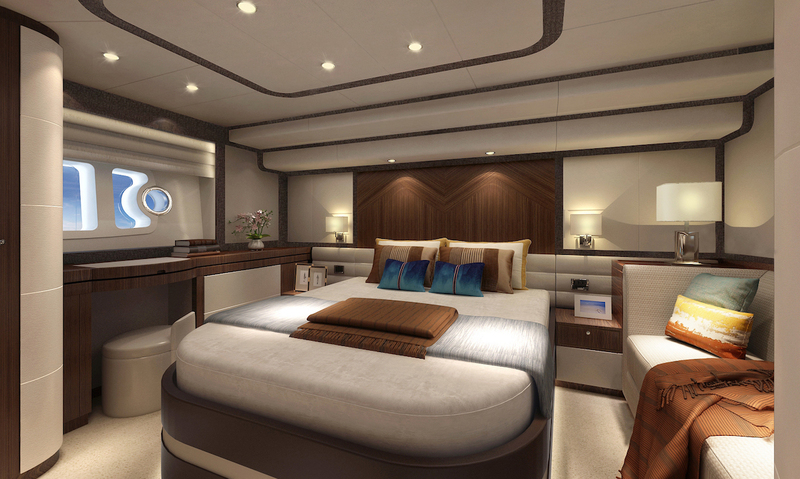 His latest venture is the design and manufacture of a new marque – Longreef Motor Yachts. How was the Longreef brand received at SCIBS? We had an incredible show. Due to shipping constraints we didn’t get our new 60-foot Longreef in time to debut there, but we had one of our larger boats and all the renderings for our 50-, 60- and 90-foot models. The response was overwhelming; we presold our 60-footer and it looks like we are close to securing a deposit on the 90-foot boat. What are some of the features of Australia’s newest luxury brand? Having syndicated and managed around 100 boats via Boating Syndication Australia (BSA), we have a unique insight into what owners use and value the most. In addition, we have incorporated over 12 years of feedback – both positive and negative – from our clients and boat owners to create a superior, all-round boat range. Built for supreme comfort and practicality, it combines great entertainment areas with accommodation for overnight guests. It is perfectly suited Australia’s outdoor lifestyle. 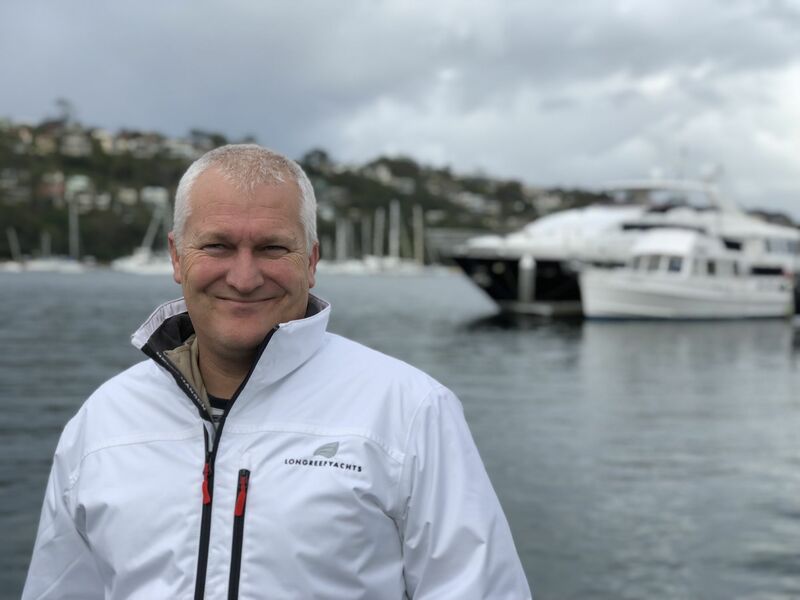 Andy Young - Longreef Motor Yachts. The model is based on everything I’ve learned from managing over 100 boats and around 400 clients. Case in point, while the whole market is going pods, I am going back to core, conventional, shaft-drive vessels with bow and stern thrusters and joystick control. In my opinion, the benefit of a shaft drive from a reliability and cost standpoint far outweighs the convenience of a pod-drive boat. A pod-drive vessel is very expensive to maintain, and if it fails, you have no sidewards movement. This renders the boat unusable until spare parts are received, generally from overseas. This can prevent usage of a boat for up to a month. With Longreef Yachts, the vessels can be used all the time. If something mechanically fails, and we are waiting on spare parts, the owner can still use their vessel as it has both bow and stern thrusters. Every item on a Longreef boat has had lots of thought put into its quality, functionality and ease of use. The internal entertainment areas and kitchen are very impressive. All tables are hydraulically controlled to transform them from dinner-table to coffee-table height. And we have lots of fridges. All plug points have USB points and are connected by Bluetooth so you can switch them on and off from your mobile device. The crew cabin is nicely fitted out and moonlights as a top-line gamers’ room with huge 42” television, surround sound and a lounge area that converts to a double bunk. It is all designed for effortless luxury. Who is responsible for naval architecture and design, and interiors? I’ve assembled a dream team of suppliers I’ve worked with over 12 years at BSA. 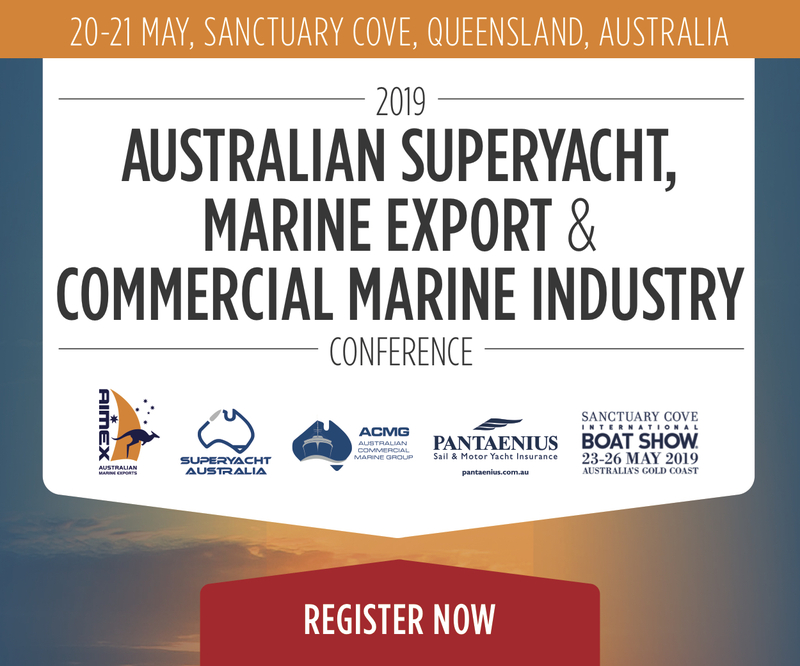 We have two Australian naval architects involved in the design and are working with Gavin Clark from Slipstream Surveying, Angus Hooper from Signature Marine Electronics, and John from ADC Davits and Cranes (for the swim platform). I have looked after all the interior arrangements and boat design and am using Australian products where possible. The boat is being styled by Infinite Design. As a luxury Australian brand, we need to use the talent this country has to offer. Who does Longreef appeal to? Anyone who wants to entertain in effortless luxury without the huge maintenance costs of a conventional boat. What other models can we expect and in what time frame? We will have the 50SX (flybridge) and SY, 60SX and SY, and the 90. 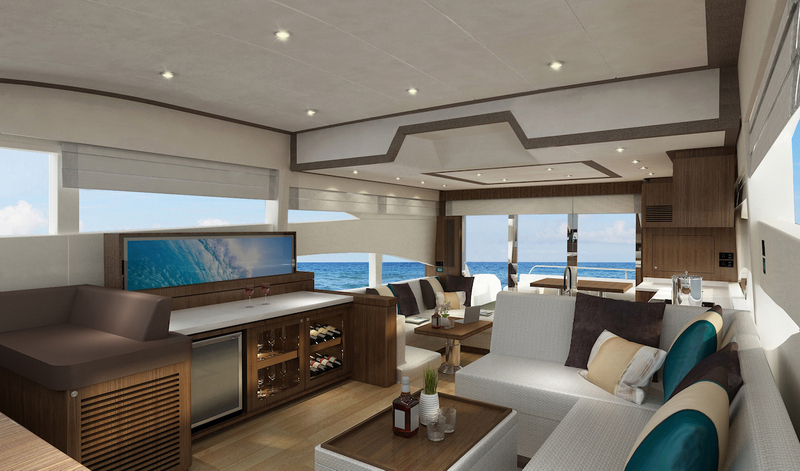 Hopefully, we will soon be looking at a 40-foot SY that is competitively priced, but still offers large entertainment areas. That will be the next chapter for Longreef. Where are the Longreef boats being built and how customisable are they? They are designed in Australia. The hull and sub and internal frames are manufactured in Asia, under the watchful eye of Longreef staff, then electrical components are installed and hand finished in Brisbane. We try to pre-empt people’s needs and include most of what is wanted in the base boat, rather than in the options. That said, we can customise every boat right down to the colour of the engine mounts. Every owner has a range of diverse needs, aspirations and lifestyle. We design and tailor a boat with this in mind. With Longreef, no two boats are the same. What other boat shows will Longreef be involved in? The Sydney International Boat Show from 2–6 August is next, where we expect to showcase our 60-foot and 90-foot models. Where do you see the brand in five to 10 years? Our immediate goal is to produce five to 10 boats per year. I don’t want to be a large-scale production house, rather an exclusive brand known for luxury, ease of use, quality and after-sales service.